MK Avi Dichter says there won't be a “one-state solution” but makes clear the “two-state solution” is no longer viable either. 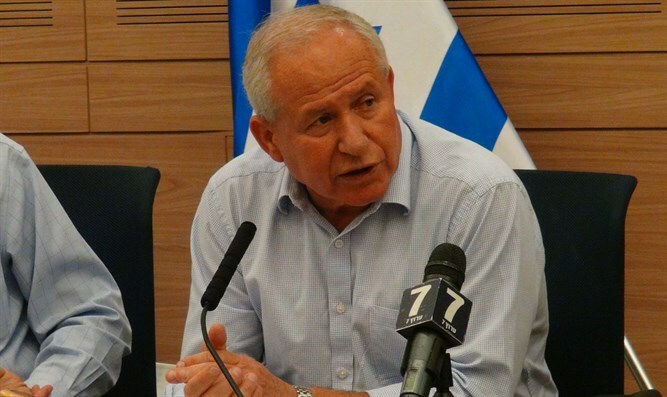 MK Avi Dichter (Likud) on Wednesday stressed that there will not be a “one-state solution” in which there is one state with an Arab majority, but also made clear that the “two-state solution” is no longer viable. The comments come amid an apparent change of thought in the White House, after President Donald Trump last week told Prime Minister Binyamin Netanyahu that he would not commit to the two-state solution as the only way to solve the Israeli-Arab conflict. “In a situation where there are 12 and a half million people between the Jordan and the sea, six and a half million Jews and six million non-Jews, it is absolutely clear that there will not be one state in which six million non-Jews will have the right to vote for the Knesset. That’s not on the table. To anyone attempting to terrify us, it should be clear - we will not allow a situation in which there will be one state with an Arab majority,” Dichter wrote on Facebook. The two-state solution, he opined, has become “a theoretical issue”. “It’s like asking with whom we will sign a peace agreement with Syria today – with which faction? [The two-state solution] is a theoretical issue that has been irrelevant for ten years. We are 23 years after the Oslo Accords. The Oslo Accords failed. This reality of a demilitarized Palestinian entity has not existed for many, many years,” continued Dichter. The post follows Dichter’s remarks before the Conference of Presidents of Major American Jewish Organizations this week, in which he outlined what steps Israel must take in the wake of the regional changes. “In 1947 the partition plan offered Israel 55 percent of the land. Jerusalem was not under Israeli sovereignty. Yet Ben-Gurion accepted the plan. The Arabs rejected the partition plan and invaded with seven armies in an attempt to take 100 percent of the land. The War of Independence ended with 78 percent of the land in our hands. In 2017, 50 years after the Six Day War, we now have 260,000 Jews living beyond the 1967 lines and 240,000 within those borders. So those who dream about Jerusalem returning to the 1967 lines - nonsense! It will not happen,” he declared.